I’m a newbie when it comes to woodworking projects, so a trip to the local lumber store is always entertaining. I usually bring in a sketch and explain to the guys what I’m working on, and I’m pretty sure they think I’m nuts a lot of the time. Since I usually have no idea what size/type of wood I’m looking for, they let me wander around the back with them until I spot something that I like. 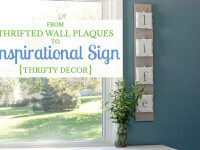 Most recently, I headed to the lumber store in search of a big, thin board that could be the base of a giant chalkboard I wanted to make to fill an empty wall in our dining room. After perusing the lumber selection, I learned that I needed a sheet of MDF board, which comes in huge sheets, and had the guys cut me a 4×6 foot piece of it. I really need to take a picture of my creation back to the store so the guys can see what I ended up making! Chalkboards are so versatile. 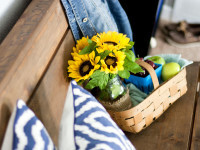 They can serve practical purposes as places to leave notes and write meal plans. Or they can be more decorative like mine is. I am pumped to write different messages on it as the seasons change! This project was quite affordable, and only requires a few basic tools and supplies. Since your MDF board is already cut to size, all that’s left to cut are pallet boards for the frame. Any saw you have should work for this. I don’t have much for tools, so I used a jigsaw attachment for my drill. Make sure you use a square to mark a straight cut line before you start cutting. 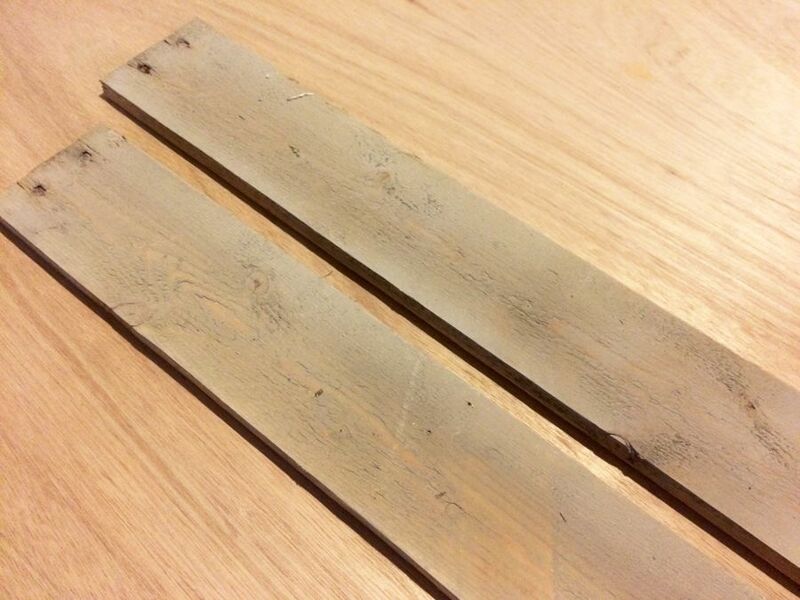 Lay the pallet boards along the side of your MDF and mark them about an inch longer than the MDF. If your pallet boards aren’t long enough to cover the entire length of the MDF, cut two shorter pallet boards to total the full length plus an inch. Next, line the cut pallet boards up on top of the MDF, letting them hang over the edge slightly. Measure the distance between them and cut two shorter pallet boards to fit. Your next step is to sand all of the wood on all edges. You’ll be grateful for an electric sander for this project – those pallet boards are usually pretty rough! Here’s the fun part – painting! 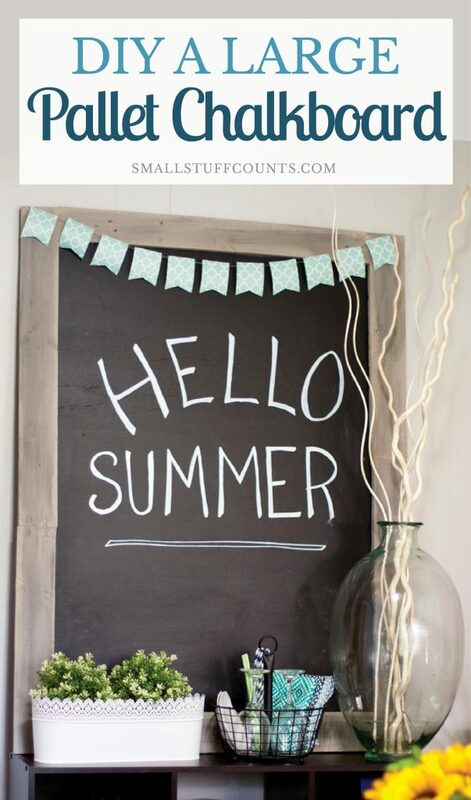 Use chalkboard paint to cover one entire side of the MDF board. Follow the instructions on the chalkboard paint. I painted three coats on mine, and allowed the proper dry time in between each coat. 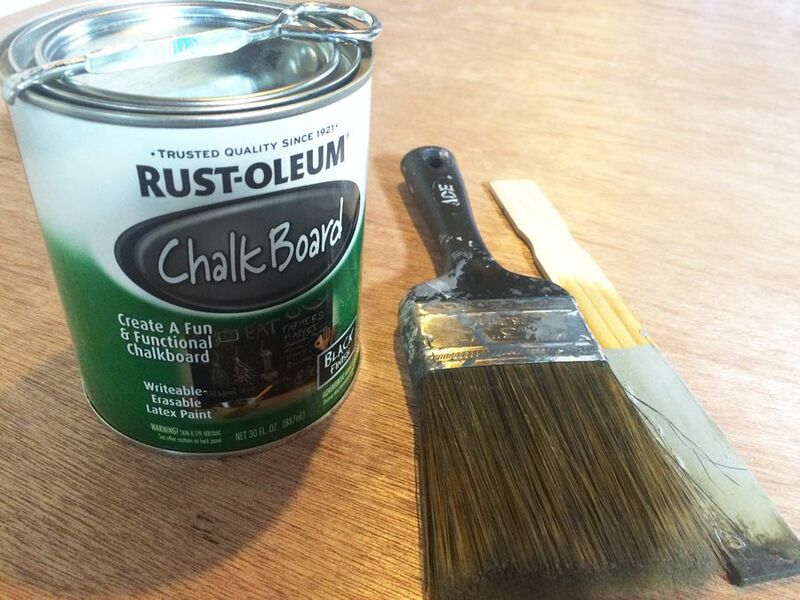 I recommend using a roller brush to ensure a smooth coat of chalkboard paint. I didn’t have a roller handy, so I used a regular bristle brush instead. I was a worried it would be streaky, but it did dry smooth. A roller would cover the large board a lot faster, though. 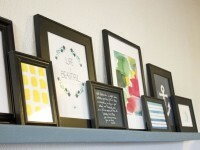 While the chalkboard paint is drying, paint the pallet boards for your frame. 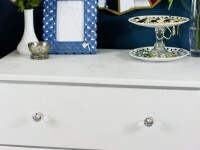 These can be absolutely any color of paint or stain you like. I used a grey/tan chalk paint that I had on hand, and then dry brushed a bit of darker grey over top to give it a slightly worn look. 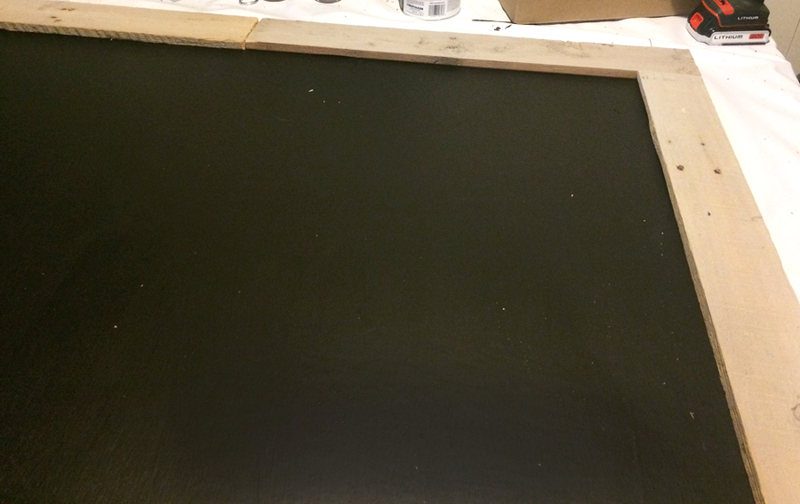 Once all of the paint is dry, it’s time to assemble your chalkboard! For this step, line up everything upside down so you can drill screws in from the back of the MDF board through the pallet wood. 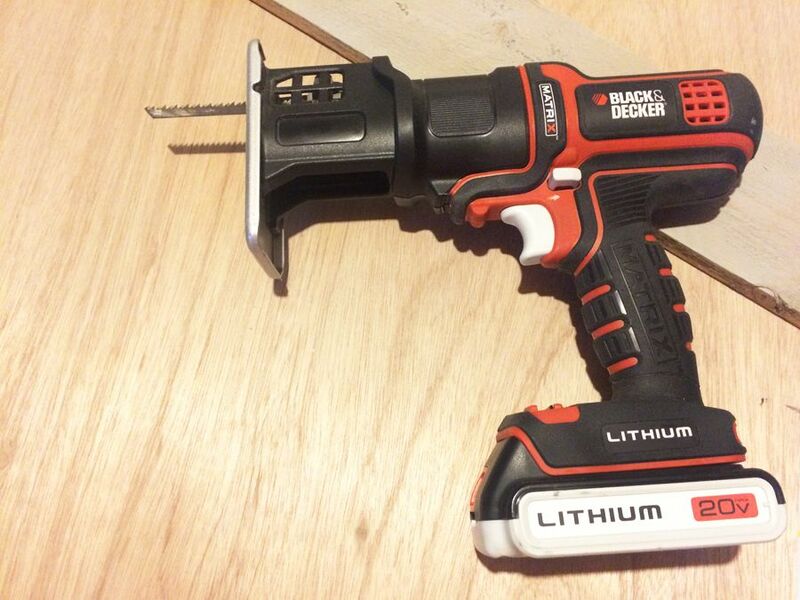 Use screws that are slightly shorter than the total thickness of the MDF + pallet wood so they hold everything together but don’t stick through to the front. Sorry I didn’t get a picture of this step, but I basically just inserted a bunch of screws where the joints in pallet wood were and then sprinkled a few more screws along the edges to ensure everything was firmly attached. I pre-drilled small holes and then inserted the screws. This step went really fast. Finally, use wood filler to fill in any gaps at the joints in the frame. You can see a joint in the photo below. I filled it with wood filler and touched up the paint. 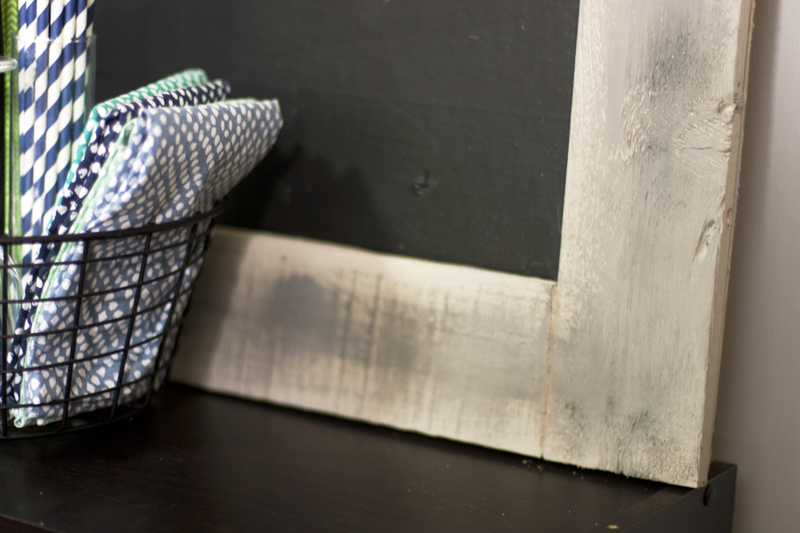 This chalkboard is quite large and heavy, so use a stud finder to be sure you hang it up on a stud if you plan to hang it. Simply add sawtooth hangers to the back to line up with the studs. I propped mine on top of a cube shelf in our dining room, so I didn’t have to worry about hanging it for now. This ended up being an affordable project that I was able to complete in a weekend, and I love it in our dining room. What do you think? 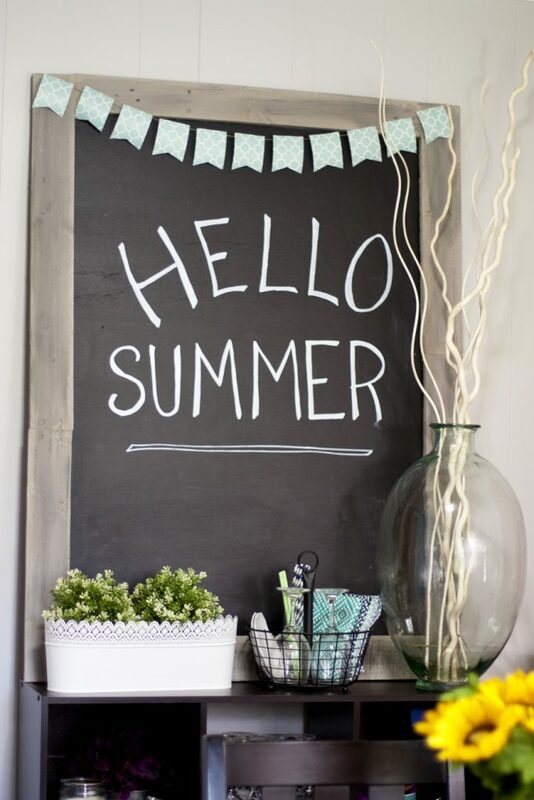 Are you a fan of the chalkboard trend? Oooh,chalkboards on pantry doors are meant to be I think! Go for it! Think of all the festive sayings you could write on it. 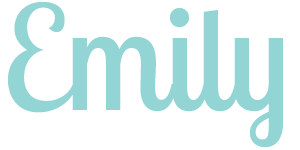 Or perhaps you could use it for your grocery list or meal plan? Happy painting!